1. Skulachev V.P. Phenoptosis: programmed death of an or ganism // Biochemistry (Mosc.). 1999. Vol. 64. N 12. P. 1418–1426. 2. Bredesen D.E. The non-existent aging program: how does it work? // Aging Cell. 2004. Vol. 3. N 5. P. 255–259. 3. Longo V.D., Mitteldorf J., Skulachev V.P. Programmed and altruistic ageing // Nat. Rev. Genet. 2005. Vol. 6. N 11. P. 866–872. 4. Holliday R. Aging: The paradox of life. Why we age. Dordrecht: Springer, 2007. 134 p.
5. Khokhlov A.N. Does aging need an own program or the existing development program is more than enough? // Russ. J. Gen. Chem. 2010. Vol. 80. N 7. P. 1507–1513. 6. Kirkwood T.B.L., Melov S. On the programmed/nonprogrammed nature of ageing within the life history // Curr. Biol. 2011. Vol. 21. N 18. P. R701–R707. 7. Khokhlov A.N. Impairment of regeneration in aging: appropriateness or stochastics? // Biogerontology. 2013. Vol. 14. N 6. P. 703–708. 8. Khokhlov A.N. Does aging need its own program, or is the program of development quite sufficient for it? Stationary cell cultures as a tool to search for anti-aging factors // Curr. Aging Sci. 2013. Vol. 6. N 1. P. 14–20. 9. Weismann A. Die Kontinuitat des Keimplasmas als Grundlage einer Theorie der Vererbung. Jena: G. Fisher Ferlag, 1885. 112 p.
10. Kirkwood T.B., Cremer T. Cytogerontology since 1881: a reappraisal of August Weismann and a review of modern progress // Hum. Genet. 1982. Vol. 60. N 2. P. 101–121. 11. Khokhlov A.N. From Carrel to Hayflick and back, or what we got from the 100-year cytogerontological studies // Biophysics. 2010. Vol. 55. N 5. P. 859–864. 12. Khokhlov A.N., Klebanov A.A., Karmushakov A.F., Shilovsky G.A., Nasonov M.M., Morgunova G.V. Testing of geroprotectors in experiments on cell cultures: choosing the correct model system // Moscow Univ. Biol. Sci. Bull. 2014. Vol. 69. N 1. P. 10–14. 13. Khokhlov A.N., Morgunova G.V. Testing of geroprotectors in experiments on cell cultures: pros and cons // Antiaging drugs: From basic research to clinical practice / Ed. A.M. Vaiserman. Royal Society of Chemistry, 2017. P. 53–74. 14. 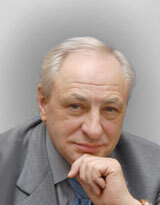 Khokhlov A.N. On the immortal hydra. Again // Moscow Univ. Biol. Sci. Bull. 2014. Vol. 69. N 4. P. 153–157. 15. Khokhlov A.N. Cytogerontology at the beginning of the third millennium: from “correlative” to “gist” models // Russ. J. Dev. Biol. 2003. Vol. 34. N 5. P. 321–326. 16. Khokhlov A.N. What will happen to molecular and cellular biomarkers of aging in case its program is canceled (provided such a program does exist)? // Adv. Gerontol. 2014. Vol. 4. N 2. P. 150–154. 17. Khokhlov A.N. Stationary cell cultures as a tool for gerontological studies // Ann. N.Y. Acad. Sci. 1992. Vol. 663. P. 475–476. 18. Khokhlov A.N. Which aging in yeast is “true”? // Moscow Univ. Biol. Sci. Bull. 2016. Vol. 71. N 1. P. 11–13. 19. Morgunova G.V., Klebanov A.A., Marotta F., Khokhlov A.N. Culture medium pH and stationary phase/chronological aging of different cells // Moscow Univ. Biol. Sci. Bull. 2017. Vol. 72. N 2. P. 47–51.